Based in South Florida, THINK Magazine is a monthly luxury lifestyle magazine that brings its readers the best in lifestyle, fashion fine dining, jewelry, real estate, home design, travel, and more. While the magazine has a local focus, their strong global outlook makes their content truly engaging. In the November issue of THINK, the magazine put together a special spread called “THINK Holiday”, showcasing different holiday traditions, food, travel destinations and more. 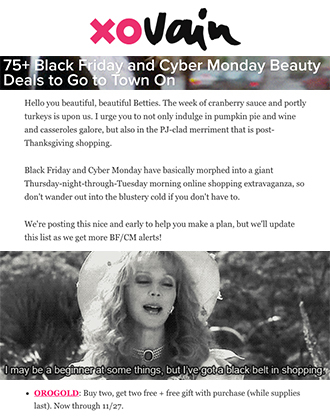 In addition to this, THINK also put together their annual holiday gift guides, with one guide titled “HER: Treat Her Like a Queen This Season”. 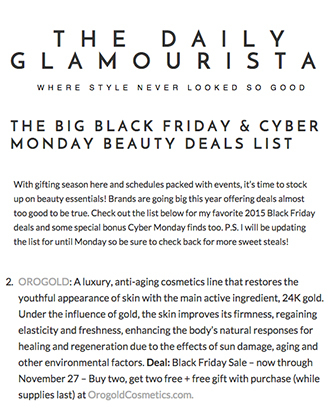 OROGOLD was honored to see that THINK included the OROGOLD Daily Essential Kit in this gift guide. 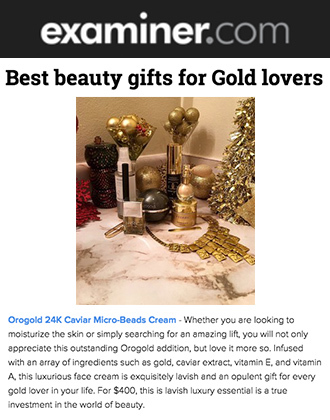 Along with a beautiful photo of the kit, the feature explained that OROGOLD’s focus is on “anti-aging cosmetics, restoring youthful skin with 24K gold”. 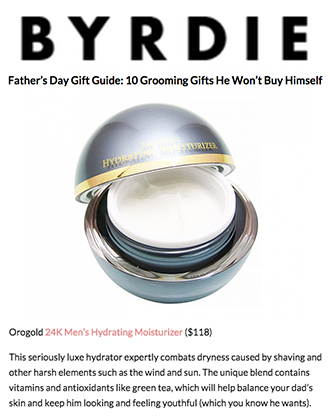 The editor also explains what the Daily Essential Kit contains; 24K Deep Day Moisturizer Cream, 24K Deep Peeling and 24K Cell Renewal Night Cream. 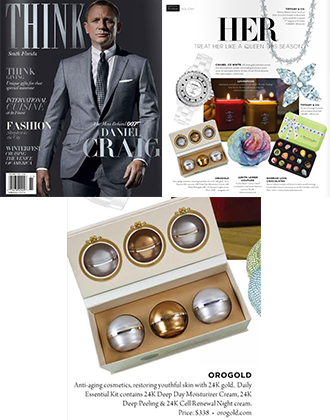 OROGOLD would like to thank THINK Magazine for featuring our Daily Essential Kit. 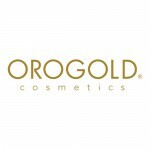 If you would like to know more about the products in the kit, or even try them out for yourself before purchasing the kit, feel free to drop into your nearest OROGOLD store for a free demonstration.